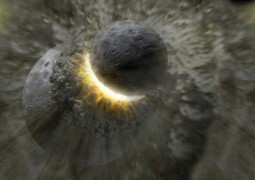 Moon Express Inc., a privately funded lunar transportation and data services company, and CrowdOptic, a revolutionary new technology that places text “captions” on objects in real time while they’re in motion, today announced that Moon Express has deployed CrowdOptic to enhance the launch and tracking of its lunar lander technology tests carried on the Airship Eureka. “I cannot think of a more spectacular venue to debut our technology than this one, in support of a team that is quite literally shooting for the Moon,” said Jon Fisher, CEO of CrowdOptic. 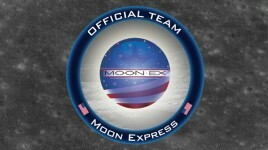 “It is a privilege to work with the MoonEx team, to help advance this important development in commercial space.” Moon Express is utilizing the Eureka Airship, owned and operated by Airship Ventures, Inc., to test a new mini-radar system that is essential to the company’s mission to build and launch spacecraft capable of completing explorations on the Moon. Moving objects such as sailboats, baseball players and race cars are tracked in real time and tagged with relevant, real-time information. This information travels with the photo as it is shared across social networks. What is that sailboat’s speed and heading? What is that baseball player’s on-base and slugging percentages? Point your phone and find out. Take a picture and share.